As one of our client's all-time summer favourites, Elba continuously exceeds expectations for a family holiday in the sun. Bursting with culture and beauty, there’s plenty to explore on this vibrant Italian Isle. Elba is a small Mediterranean island in Tuscany, Italy and is the largest island in the Tuscan Archipelago. This beautiful island has been inhabited since 800BC changing hands between several rulers, and is well known for its famous exile, Napoleon Bonaparte in 1814. Following Napoleon's forced abdication in France, he was exiled to Elba in 1814 where he was allowed to keep a personal guard of 600 men and was nominally sovereign of Elba. Napoleon managed to improve the quality of life in Elba during the 300 days he was there, carrying out a series of social and economic reforms. Napoleon united the island of Elba under one flag and oversaw the magnificent infrastructure improvements that left a lasting mark on the island and its people who, to this day, still say a Mass for him on the 5th May at the Church of Misericordia. The presence of Napoleon has undeniably marked the history of the island and helped shape it into the fascinating island it is today. If you are looking to delve deeper into the history of Napoleon, there are two museums you can visit, Villa dei Mulini and Villa San Martino in the historic centre. There’s no need to worry about how you’d get there as our in-resort shuttle service will pick you up and drop you off right from your hotel door. 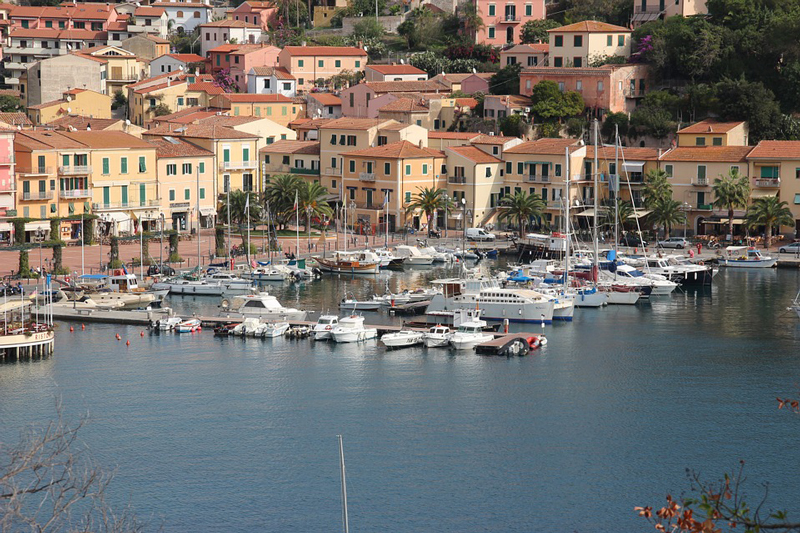 If history is not your thing then Portoferraio has a multitude of other offerings. Through our Powder Byrne in-resort service, we can charter a boat for you and your family to explore the island from a different perspective. You can enjoy a delicious floating lunch or discover the incredible array of marine life snorkelling with the kids. If you would rather see all that Elba has to offer on foot, why not go on a hike where you can uncover hidden treasures and marvel at the natural beauty of this picturesque island. July is a fun packed month in Elba, with an incredible musical art festival set in a beautiful mine, rowing races along the gulfs every Sunday and a vibrant celebration on July 14th of a lovers legend, where you can watch the fancy-dress procession winding through beaches and cobbled streets. Whilst originally recognised for its Napoleonic history, more recently Elba has become renowned for its wine and cuisine, which takes inspiration from both the land and the sea. There are several beachside restaurants boasting stunning views of the Tuscan Archipelago offering dishes bursting with flavour. For a treat try Osteria del Noce, one of the best restaurants on the island over Marciana Marina. For something a little more down to earth we recommend La Ferrigna, a family-friendly restaurant serving up delicious pizza, pasta and seafood. Of course, you can’t forget the wide variety of restaurants at our hand-picked Hotels, the Hermitage and the Biodola, with a highlight being the open-air Fuoco di Bosco where food is served down on the beach with the Biodola bay as your backdrop for a surreal dining experience. Our younger visitors can take full advantage of our exclusive children’s programmes, including our Scallywags and TheZone where they’ll be involved in engaging activities from swimming sessions to cooking classes as well as making lasting friends. We know how important it is to ensure all the family are able to switch off, so our dedicated Powder Byrne team both in-resort and at head office will be on hand to make sure your holiday is seamless and stress-free. To find out more about this incredible island, contact our travel consultants on 020 8246 5300 or click here.